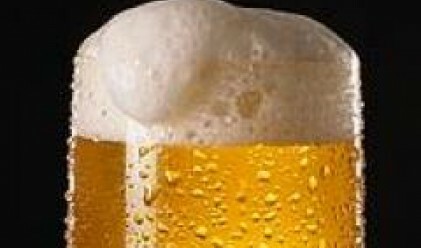 Bulgarians consumed a total of 5.686 mln hectolitres of beer last year, according to preliminary data announced by the national Union of Brewers. The most popular brands in the country are Zagorka (1.693 mln hl), Kamenitza (1.547 mln hl) and Carslberg Bulgaria (1.383 mln hl). Next are Bolyarka (556,000 hl) and Lomsko Pivo (120,000 hl). Consumption per capita last year stood at 74 litres. Consumers preferred glass and PET bottles – respectively 51% and 41% of sales. Cans and draft beer account for 2% and 6% of sales. The members of the Bulgarian Union Of Brewers invested a total of 77.7 mln leva (39.727 mln euros) last year. Carlsberg Bulgaria invested 31 mln leva (15.85 mln euros), next are Zagorka and Kamenitza with 19 mln and 18.904 mln leva, respectively. Bolyarka's 2007 investments stand at 6.4 mln leva and Hraninvest HMK's at 1.228 mln. At the bottom of the chart are Lomsko Pivo (684,000 leva), Sigrotechengineering (358,000 leva) and Bulmaltz (200,000 leva).